After the success of our auto rickshaw themed steel coasters, we are launching some new designs. These are basically targeting tourists & travellers who are buying gifts and souvenirs to take back home from India. The images are heat tempered and they do not come off. 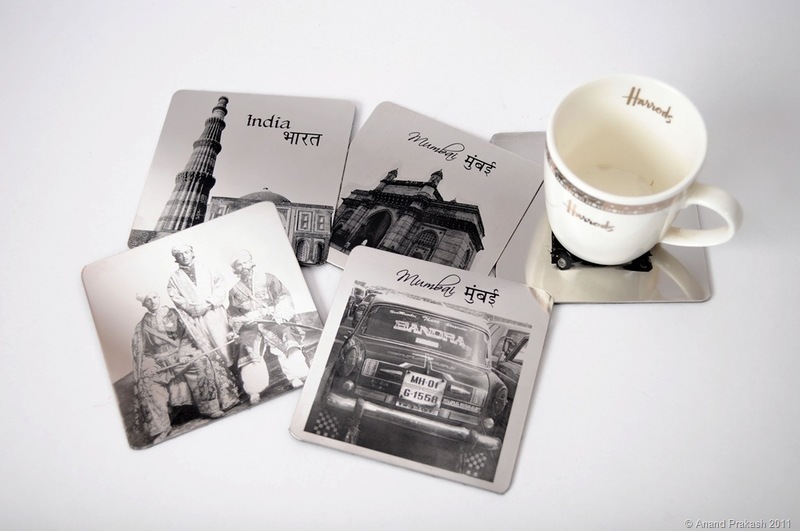 This entry was posted in Whats New and tagged Anand Prakash, Coasters, Gifts, India Souvenirs. Bookmark the permalink. Will they be available online soon? Coasters are now available at our online store. Can you give us the link for the coasters on the online store? Coasters have been removed temporarily, which one do you want? Sorry! we do not have anything for Madhya Pradesh. Aren’t the coasters available at the online store anymore?